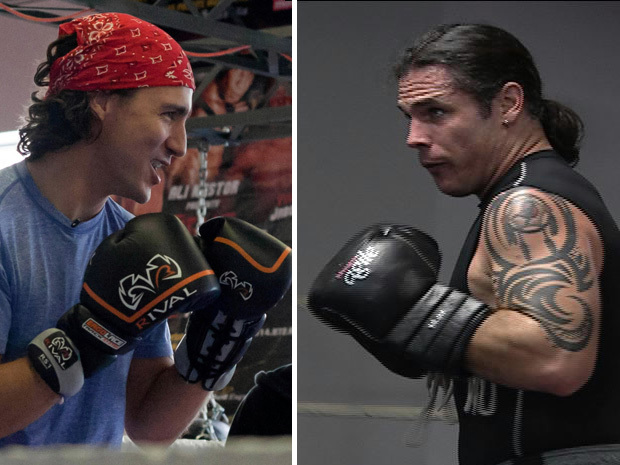 A new poll from Ottawa-based Abacus Data conducted for QMI Agency and Sun News finds that Canadians are more likely to believe that Senator Patrick Brazeau will win the charity boxing match with Liberal MP Justin Trudeau scheduled for March 31st. 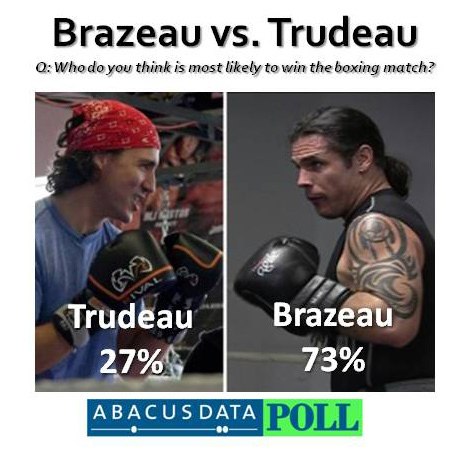 Nationally, 73% of respondents picked Brazeau to prevail while 27% picked Trudeay. Bloc Quebecois and Liberal Party supporters as well as Quebec respondents were more likely to pick Trudeau while large majorities in the rest of the country sided with Senator Brazeau. From March 9 to 13, 2012, Abacus Data Inc. conducted an online survey among 1,003 randomly selected Canadian adults from an online panel of over 150,000 Canadians. Since the online survey was not a random, probability-based sample, a margin of error could not be calculated. The margin of error for a survey of 1,003 respondents using a probability sample is +/- 3.1%, 19 times out of 20.